The flagship and therefore, a very special turntable. The P9 uses everything Rega know and believe in and takes it to the highest degree. Music flows effortlessly from this stylish design and the engineering quality on offer for the modest cost (certainly in this product sector) is incredible. The superb tonearm, ceramic platter, bearing and the massive power supply all combine to usher in music with pace, power and passion. All the Pâ€™s. 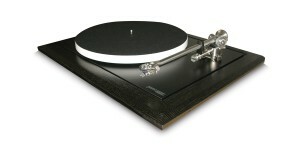 Worthy of a serious diamond, Regaâ€™s Apheta works superbly as do various Dynavectors and ZYXâ€™s.